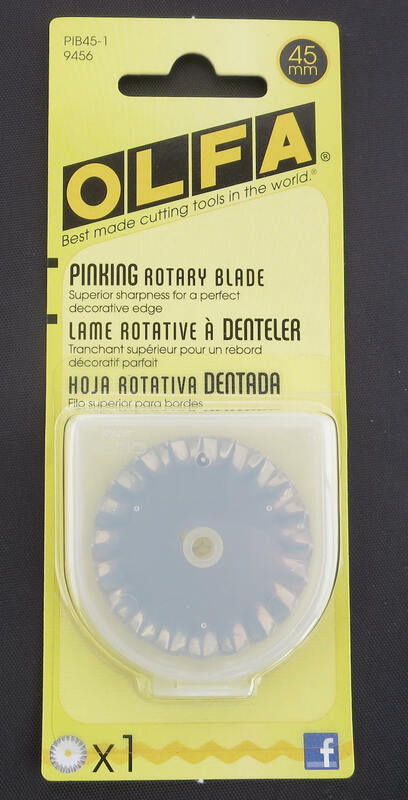 Circular rotary replacement pinking blade designed to place "teeth" on the edge of fabric to reduce raveling and to add a unique edge to any project. Very popular with crafts and memory book development. Also great for use with Polar Fleece! This blade is made of stainless steel for sharpness and durability.